Today is my daughter’s seventeenth birthday. Not sure how this happened so quickly but here we are. It is also the memorial of St. Martha who, as many of us know, is one of Lazarus’ two sisters. Hannah reminds me of St. Martha because of her love for quiet and creative service so I thought I would reflect upon that today. Did you notice that the Lord did not say, “Work bad, prayer good”? Scripture says that she was distracted by her service which I take to mean that she had separated it from her prayer and reflection. St. Benedict of Nursia said, “Ora et Labora,” or “Pray and Work.” This ancient Christian maxim has guided the ideal rhythm for monks and laity alike for centuries. 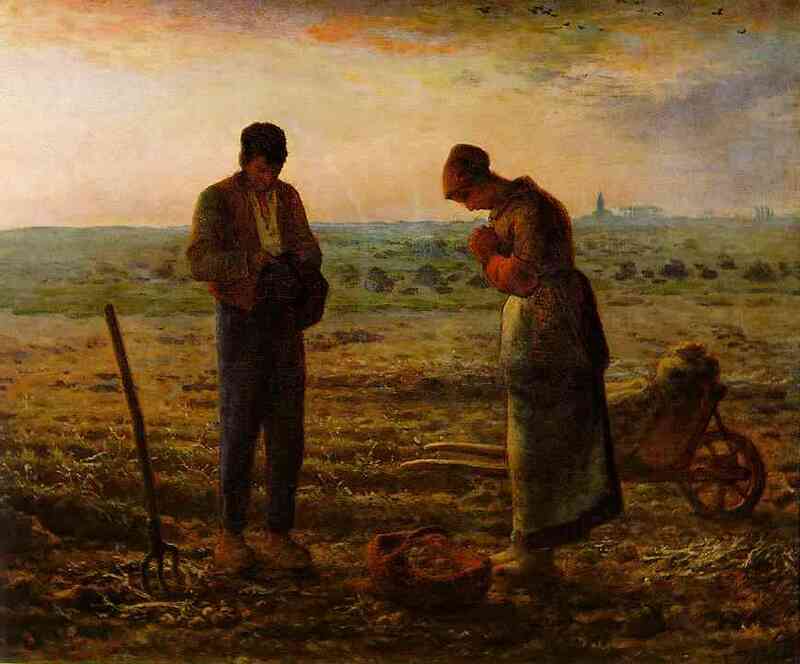 St. John Bosco, in the 1800s, reinterpreted this famous Benedictine maxim and said, “Ora est Labora,” or “Prayer is work.” One might think that they are opposed to one another but even in Hebrew the work for prayer and work are the same: adovah. Hannah has been a model of this delicate balance for me. (Is it bad to talk about my daughter without her permission?) For example, I watched her last week take on a “secret” major project at our house which, neither my wife nor myself, asked her to do. She encouraged two of her other siblings to assist as she worked many long hours on this project as a surprise for her sister. I was deeply impressed – and it was not just the commitment and work ethic that caught my attention. What struck me was the manner in which she worked. It was done out of a heart full of love, with much joy and in prayer. As she explained later, no thanks was needed because that is what family does for each other and it was the Lord who made it possible. St. Martha, ora pro nobis! And, Happy Birthday Hannah! Ad multos annos! This entry was posted in Deacon Marques Silva and tagged Bible, birthdays, Catechism of the Catholic Church, commitment, family, Genesis, Gospel, Gospel of Luke, Holy Writ, love, ora et labora, prayer, prayer and work, St. Benedict of Nursia, St. John Bosco, St. Martha, work. Bookmark the permalink.